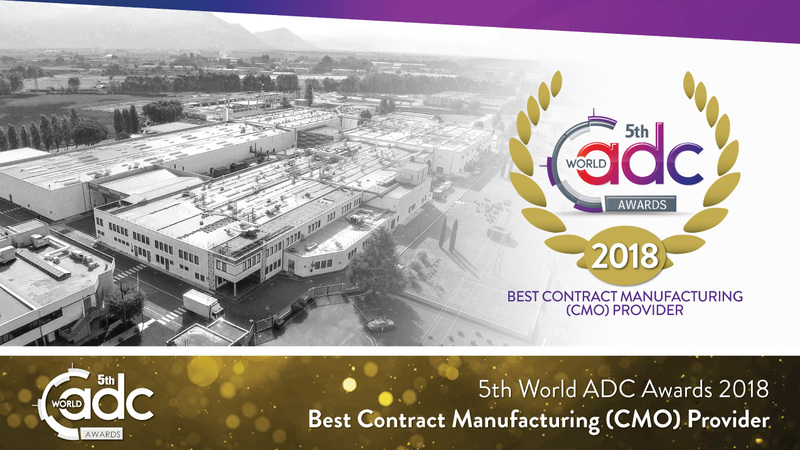 BSP Pharmaceuticals S.p.A. is pleased to announce that last 13th of November, It won the '5th World ADC Award 2018' as ‘Best Contract Manufacturing (CMO) Provider’. The World ADC Awards recognize that innovation, leadership, and devotion on a global platform. Across nine categories the Awards showcase the extraordinary endeavors, teamwork and commercial acumen that has propelled the field to the forefront of cancer research today. This important Award as the world's premier provider of innovative technology investment and quality of service, in the pharmaceutical production of ADC anticancer products, was awarded to the company during the 9th World ADC Summit 2018 of San Diego. This World Summit on ADC (Antibody Drug Conjugates) products, which took place on November 12 to 15, is the main scientific event for the research, development and production of ADC anticancer drugs and includes the major centers Research and pharmaceutical companies. BSP Pharmaceluticals S.p.A. this year was selected as outright winner by 5 out of 6 judges and during discussions was reiterated by all as highly valued provider in this arena. BSP has won this Award because It impressed due to their consistent customer focus, dedication to innovation and continued investment in upgrading their facility and adding new capability has declared the Jury.